For the die-hard Phillies fan, last night's game with the Houston Astros was one for the ages. Sixteen innings. Over five hours long. A dramatic game-tying home run in the ninth. Two pitchers in the game at the same time. Raul Ibanez at first base. A chance to gain ground on the Braves. Where do you want to start? All I can say, is it would have been fun to hear Harry Kalas in the booth calling this one! It started out simply enough with a great pitching effort on both sides. Astros hurler, Bud Norris, held the Phils to just one run, and Cole Hamels gave up just a two-run homer in the fourth to Carlos Lee. Then, Jimmy Rollins tied the game in dramatic fashion, with a two-out shot in the bottom of the ninth. From there, it was a pile of goose eggs until the 16th, mixed in with some, strange but true, happenings. In the 14th, Ryan Howard was batting with two on, and Triple A, fill-in umpire, Scott Barry, called a strike on Howard's check swing. The Phils' first baseman was visibly upset, but yelled to the ump that he was mad at himself, not the umpire. On the next pitch, Barry again, called a swinging strike on Howard for the strikeout, and when he balked at the call, the umpire quickly tossed him from the game. That caused quite an eruption, and the replay showed just why Howard was hot, and why Barry should go back to Triple A. The problem for the Phillies was the fact that they had used all their bench players. This caused Charlie Manuel to put pitcher, Roy Oswalt, in left field, and bring Raul Ibanez in to play first base. 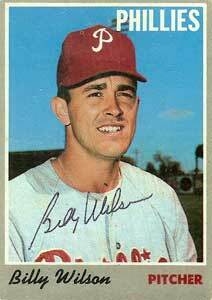 A Phillies pitcher has not played anywhere on the field except the mound since Billy Wilson played third base, in 1971. In a bit of irony, the first pitch hit by Astro's catcher, Jason Castro, in the 15th, went right to Oswalt. The pitcher, yes, the pitcher, caught the routine fly ball. In the same inning, Ibanez was forced to take a ground ball at first, and make a diving put-out at the bag. It seemed like the momentum was swinging the Phils way, but it all unraveled in the 16th, when David Herndon, the Phillies last pitcher before going to Thursday's scheduled starter, Kyle Kendrick, opened the flood gates. A high-chop infield single, a hit batter, a wild pitch, a walk, and another single all led to the Astro's win. A last-ditch rally in the bottom of the 16th came up short. In the end, when Roy Oswalt was traded from the Astro's to the Phils, he never expected to be playing left field against his former team in the 16th inning, but now he can say he did. That's why we love the game so much!